Bollywood Diva Sonam Kapoor has had her share of gaffes on social media, but his time it was not her fault. 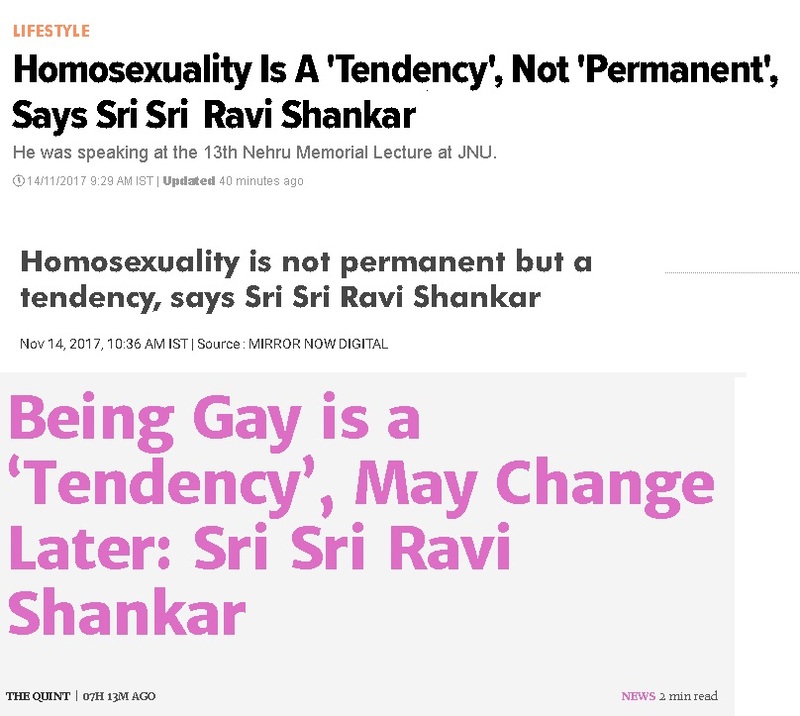 The above report itself was based on a story by the Indian Express titled “Being homosexual is ‘a tendency’, says Sri Sri Ravi Shankar at JNU event”. 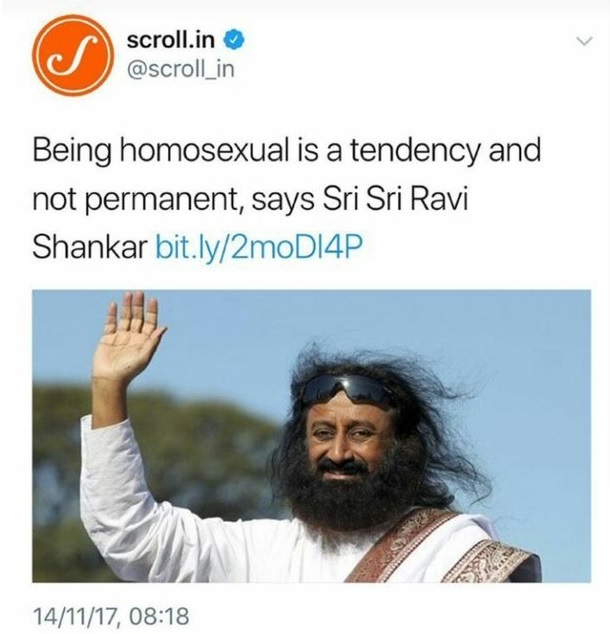 Scroll.in’ story soon began to generate outrage on social media since the headline seemed to suggest that Sri Sri had somehow spoken against homosexuals. And the reference to change in sexual orientation was there because the question mentioned that the person had discovered his sexual orientation rather late and his friends make fun. Sri Sri was emphasising it is normal to discover yourself at any time in life. You treat yourself better, doesn’t matter how others treat you. You don’t think you are sick or something’s wrong with you. If you stand up, nobody can insult you… But if you feel weak and meek, and if you feel bad about yourself, nobody can make you feel better. This is your tendency now. Just acknowledge it and accept it, and know that this tendency is not a permanent thing. It may change. I’ve seen many men who were gay, later on turn into heterosexuals, and there are those who are normal — what are called straight people — end up being gay later in life. I want to you to focus beyond the body identity. Sonam Kapoor too has been alerted by many on social media of the truth. Will these portals change their headlines now? Will Sonam Kapoor apologize? Will Sri Sri Ravi Shankar pursue legal action on the media houses?